Y’all, I don’t know what clicked in me a few months ago, but I have been really into nail art. I always thought it was cool to look at on Pinterest and Instagram, but I was a little hesitant in trying it myself in fear of failing. I had marble nails, Disney nails and ombre leopard print. I still have work to do on leopard print, but thankfully I can resort to nail strips from OMG Nail Strips. 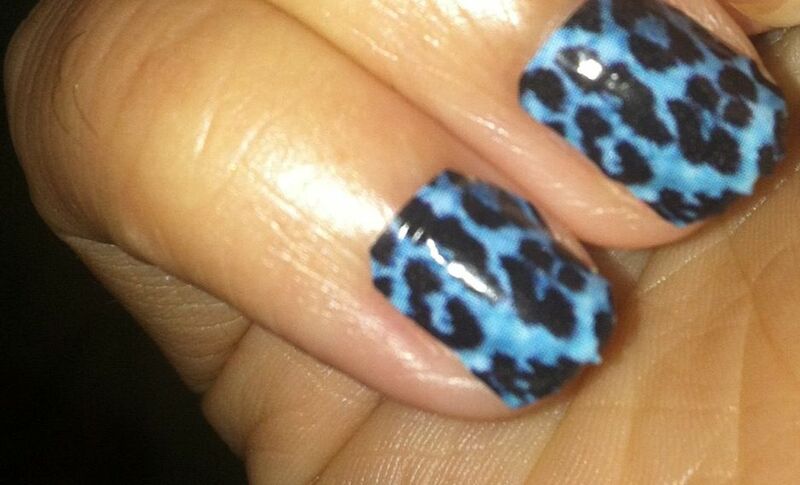 I received a set of their blue leopard nail polish strips. I’m so obsessed with leopard print. It’s not even funny. Leopard print has taken over not only my nails, but my wardrobe, bedroom, cell phone and even my car. I never tried nail strips before, so the process was entirely new to me. I messed up quite a bit because I recently cut my nails short to make them all even. This meant that I had to cut each nail strip, and it was hard to make them the perfect size without snipping too much off. The directions were easy to follow, and I believe I could have followed them through better if I had longer nails. Before you even apply the nail strips onto your nails, you have to soak your hands in warm water for five minutes and then apply lotion to your hands. I had to snip the nail strips to the appropriate width and length, then apply it by placing the round end along the base of my cuticle and then towards the tip of my nail. Then I applied a topcoat. I can’t wait to try OMG Nail Strips again once my nails grow. They grow rapidly, so in about 2-3 weeks, I’ll be rockin’ them. They are so fun, and I can totally see this being a popular stocking stuffer among teenage girls. 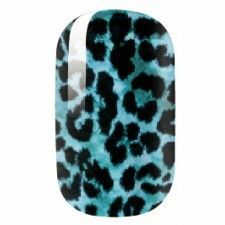 You can purchase the Blue Leopard Nail Polish Strips for $6.89! Stay connected with OMG Nail Strips via Facebook, Twitter and Instagram. How Energems Can Provide Energy AND Taste!